When it comes to task tracking, Jira is an engineering standard. Read on to learn how to enable and use the Jira integration in Slab. Link to follow up issues in Postmortems and Retrospectives. Organize and add context to epics for project and sprint planning. Onboard new engineers by creating a list of starter projects. Which versions of Jira does the integration support? As of now, we only support the cloud version of Jira, not the self-hosted version. 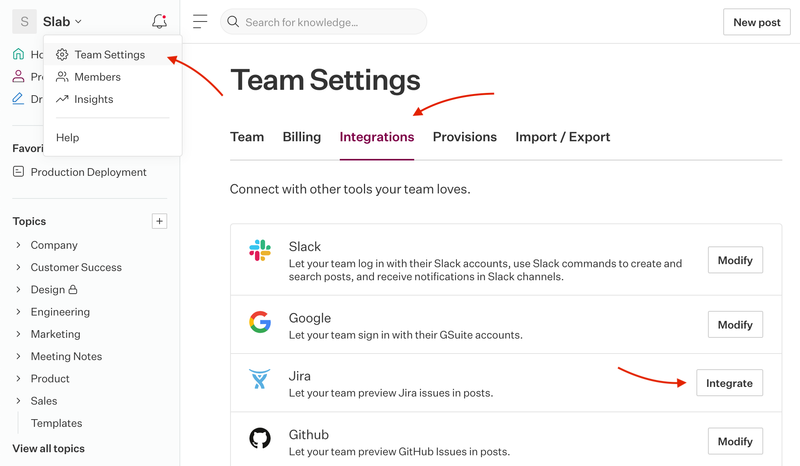 Note: You need to be a team admin on Slab and Jira to enable this integration. Head to the admin dashboard by clicking Team Settings in the top left dropdown, then click on Integrations. In the JIRA row, clicking Integrate will show you the instructions to integrate JIRA. 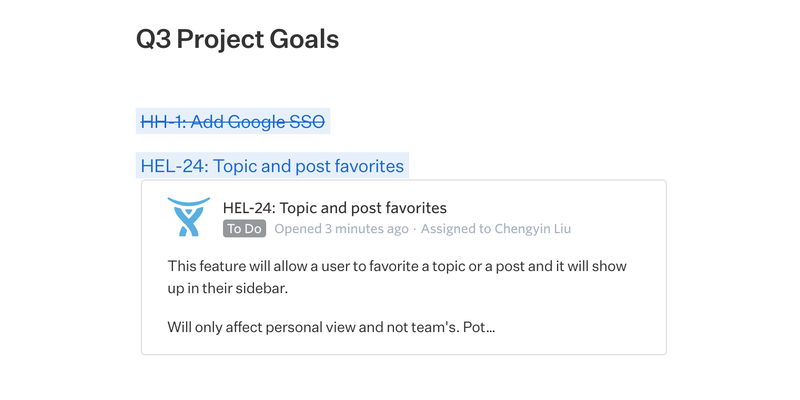 Here, you can specify which Jira projects you want to use as a part of the integration. Paste in a link to a Jira Issue and we'll magically unfurl it, showing you the number, title and status. Hovering over it will open more details like a summary and the assignee.